Treat your Valentine to a delicious gift that is sure to impress. We've included new ruby cacao bars, featuring a subtle berry flavor and delicate pink hue naturally derived from sensational ruby cocoa beans, as well as our signature chocolate truffles. 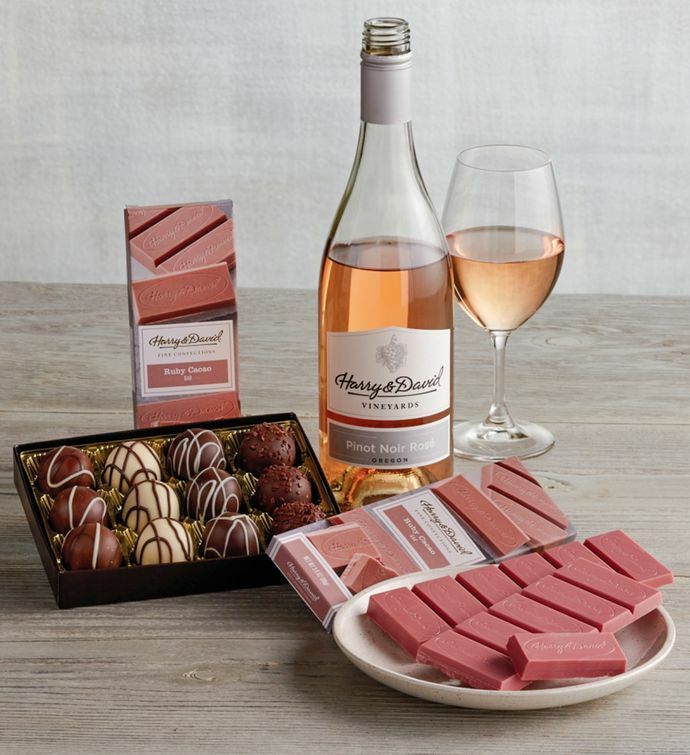 Pairing perfectly with our Harry & David™ 2017 Pinot Noir Rosé, this tasty trio will set hearts a-flutter.